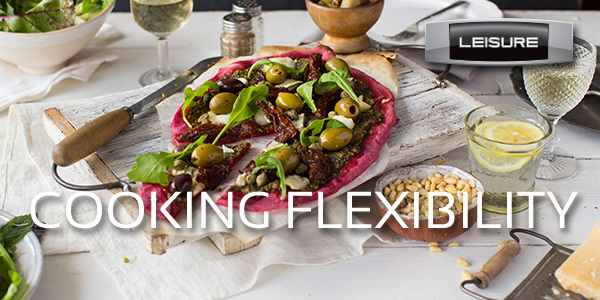 We believe in giving you just the tools you need to help you grow your culinary skills and confidence in the kitchen. That’s why our range cookers are created with the latest features and technologies that even the most skilled of your foodie friends would envy. 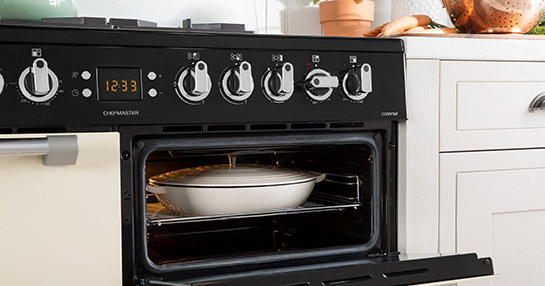 The most popular choice in the range cooker category, a fast and responsive gas hob with visible flame, combined with the electric ovens. 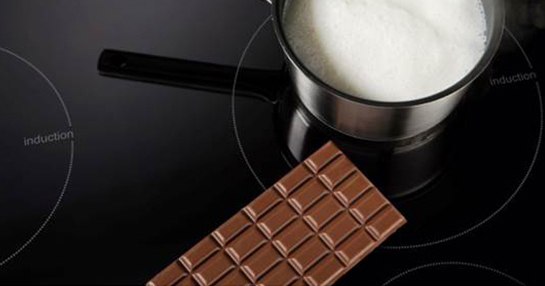 Sleek, easy to clean ceramic hob top with at least 5 cooking zones, and a warming zone is included on the 100cm models. Residual Heat Indicators provide additional safety. 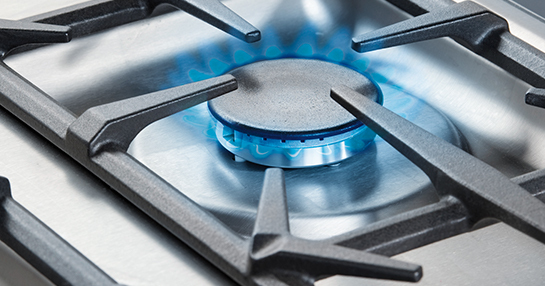 Fast and responsive gas hob heating combined with a traditional gas oven. Perfect for those who love to cook on gas ovens or those without a high voltage kitchen supply. An energy efficient versatile hob top with 5 cooking zones, which have the responsiveness of gas, but with the look and easy clean features of a ceramic hob to achieve excellent cooking performance. Depending on the model you ultimately choose, cook up a storm with up to 7 Burners on the larger 110cm models. Perfect an authentic Asian recipe with the twin gas burner. The high power burner, when combined with the generous hob space provided, gives large woks enough room to rustle up tasty stir-fries. A delicious and healthy alternative to frying. 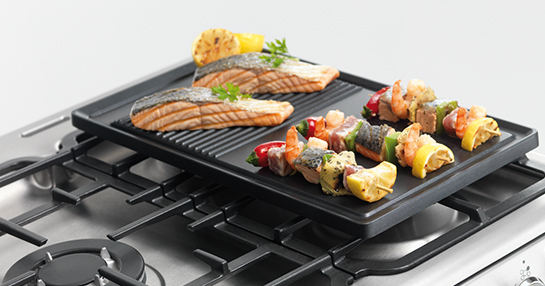 Cooking on the griddle can jazz up a simple meat, fish or vegetable dish. Delivering a picture-perfect chargrilled finish, you’ll get similar results from griddling as you would from barbequing outdoors. 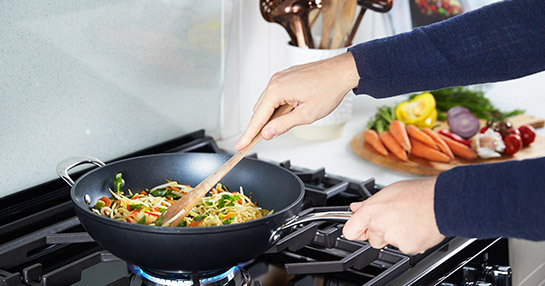 Feature-rich and satisfyingly simple to clean, the sleek and stylish induction hob offers responsive and rapid pan heating for fast cooking results. It’s also incredibly energy efficient, heating the pan instead of the hob, making it the perfect option for the 21st century chef. 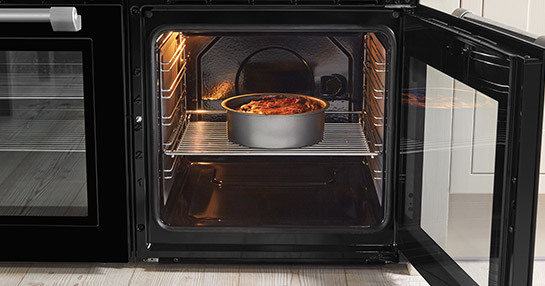 For those who crave a little more culinary freedom, the 33L slow cook oven has a minimum temperature of just 50°C, so you’ll be able to add hearty stews or casseroles to your mealtime menu. 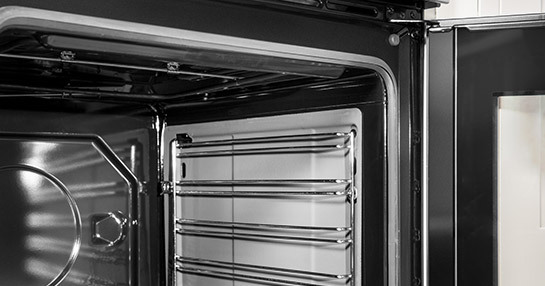 We know keeping your New Range Cooker in prestine condition is important, so every model is designed to ensure you enjoy cooking, but that cleaning is simple, quick and hassle free. 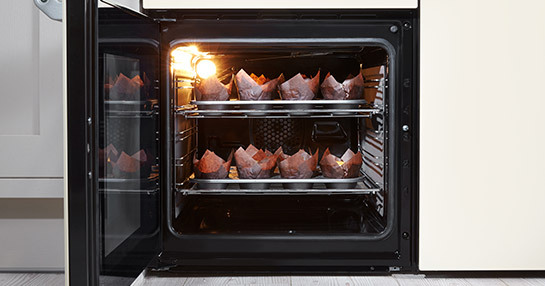 By catching grease and cooking oil from inside of the oven, catalytic liners help you spend less time scrubbing your oven, and more time planning your next recipe. 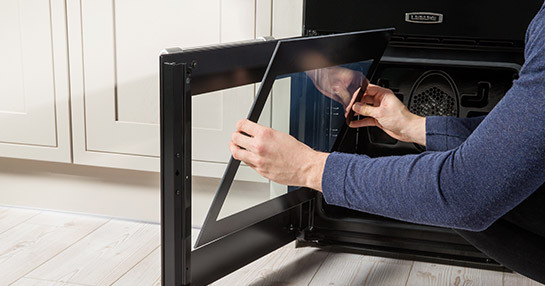 Keeping an eye on your food while it’s cooking is easy thanks to the oven door’s full glass panel. The glass panel can also be easily removed for smooth and simple cleaning.